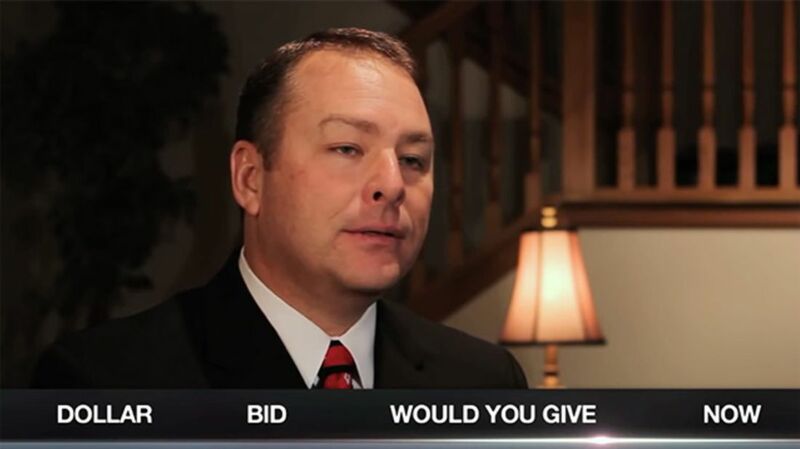 In the video below, auctioneer Barry Baker explains what's actually happening in that babble of fast-talking auctioneer speak. He lays out examples of what he calls the "logical" content of the speech (actual sentences that make sense), then adds in filler words like "dollar," "bid," "would you give," and "now." These words are added in patterns called "the auction chant." Example from a popular auctioneering school (ahem, there are auctioneering schools): "One dollar bid, now two, now two, will you give me two?" Related reading: 15 Fast-Talking Auctioneering Terms.